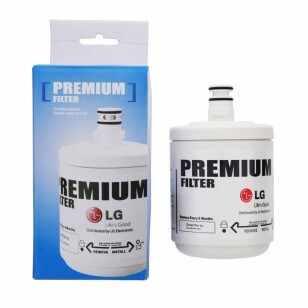 The LG LT500P Refrigerator Water Filter is a high quality OEM replacement that is built for performance. The LT500P is short and round filter that installs quickly and easily, requiring only a twist. The LT500P is certified to NSF/ANSI Standard 42, ensuring you serve only the best tasting drinking water. Immediately following installation, the LT500P goes to work reducing common water contaminants, such as chlorine and particulates, for up to six months. Order today! Ensures your fridge serves crisp and clean tasting drinking water! The LT500P does not reduce fluoride.